Andy Edwards is a drummer who came to prominence as a member of Robert Plant’s Priory of Brion, in which he played from 1999-2001. He was also the drummer with the Ian Parker Band, appearing on the albums Lost and Found and Inside. In 2005 he replaced Paul Cook as the drummer of IQ. He is also a member of Frost*, a progressive group formed the songwriter/producer Jem Godfrey (Atomic Kitten. Shayne Ward). In 2009 Andy toured with Frost* as special guests of Dream Theater on their European Tour after Mike Portnoy became a fan of Frost*. He played on the albums ‘Milliontown’ and ‘Experiments in Mass Appeal’. Andy is also a respected drum clinician and educator and has performed masterclasses alongside Steve Smith, Thomas Lang, Terry Bozzio, Billy Cobham and a host of other drum legends. He has written for Drummer magazine, Rhythm Magazine and Reverb. 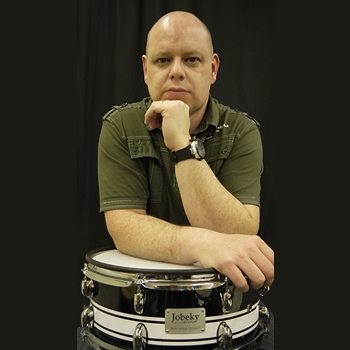 He has delivered masterclasses at Drumtech, LIPA, ACM and at the Bath Rhythm Course. He is currently Course Leader of the BTEC in Music at Kidderminster college. Aged 11 Chris began stealing wood doweling from school to make crude drum sticks & made his first drum kit using an upturned plastic box & a metal bin joined together with Sellotape. After later destroying a friends mini Argos drum kit his parents bought him a cheap man size kit for his 13th Christmas. After leaving school an audition found Chris playing for Charly Coombes’ (Supergrass) band. The band was a great introduction to the London scene and Chris moved to London a few years later. With the help of Mercury Records Chris’s original band Loverman flew out to Los Angeles in early 2009 and recorded their EP ‘Nurture’ with with Atticus Ross (Nine Inch Nails) & Joe Barresi (Queens of the Stone Age). The EP led to a tour supporting The Big Pink and eventually to Chris laying down studio drums for The Big Pink in late 2009. Following Loverman Chris spent two years as live sticksman for The Kooks & was also involved in the process of putting together their third studio record. Currently Chris is drumming for Alex Clare whose single ‘Too Close’ has recently gone platinum in the USA alone. Chris plays DW drums, Zildjian Cymbals & Jobecky drums exclusively. 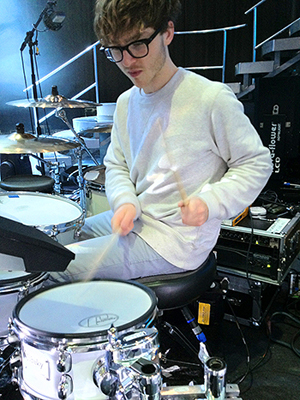 Jackson is a session drummer by trade, currently playing for The Saturdays and Sophie Ellis-Bextor. 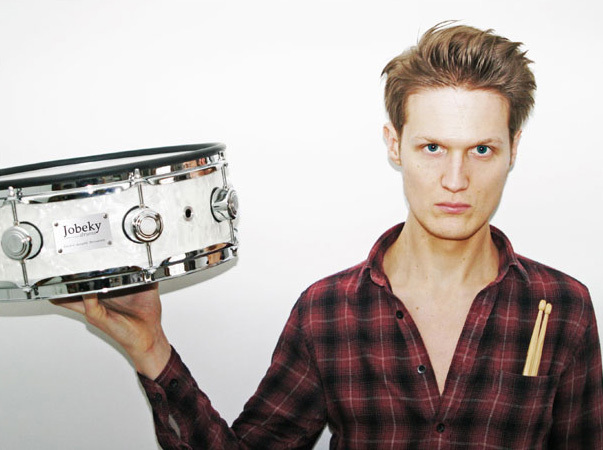 He’s recorded drums on ‘Love Is Here’ and ‘Today The Sun’s On Us’ from Sophie Ellis-Bextor’s album ‘Trip The Light Fantastic’. Over the past few years he has been touring with Sophie Ellis-Bextor playing alongside some big name acts including playing George Michael support ’07, V Festival ’07 and Take That’s ‘Beautiful World’ 34 date UK Tour 07 Support. He also played with Richard Fleeshman on his ‘Neon’ UK Tour 08 and supported Elton John for the UK dates of his World Tour in June and July of 2008, and Europe in 2009. In 2011, T In The Park, Oxegen, and V Festival all saw Jackson battering drum skins for The Saturdays. Jackson’s TV appearances have included: Popworld, GMTV, This Morning, T4 On The Beach, The Al Murray Show, Taratata (France), Sopot Festival (Poland), The Late Late Show, Soundtrack To My Life, Guilty Pleasures, Live at Studio 5, Koko Pop, Frock Me, The Album Chart Show, iTunes Festival, V Festval and T In The Park. Johnny Jenkins is one of our valued endorsees. From 7 years with ‘The Streets’, to working with ‘Lily Allen’ as drummer and MD, then with Gypsy and the Cat, Johnny is always kept busy. 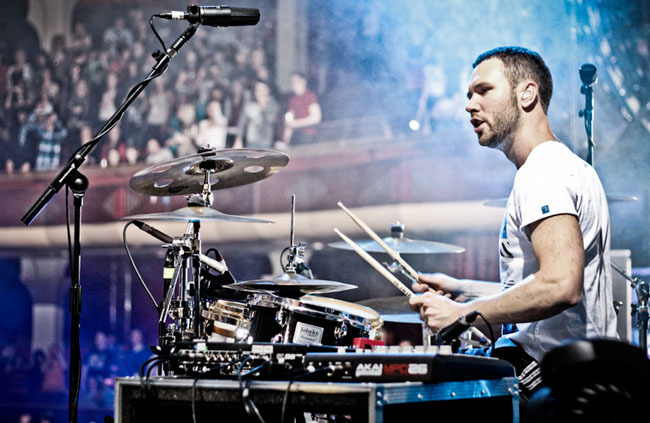 Currently, he is very busy touring and drumming with ‘Example’. Johnny also performed at The Jobeky 2010 Custom Drum festival. Johnny wanted a change of look for his kit for part of his tour with Lily Allen, so we re-wrapped his Gretsch in black and white gloss and built 3 new electro-acoustic drums for the set. Can you spot which ones they are? With Example, Johnny uses 2 kits (one white with gold hardware, and one white with black hardware). In these configurations, Johnny uses a couple of our edrums in white with gold lugs and also 3 in gold glitter fade with his first kit, and he has 4 more edrums in white with black chrome tube lugs for use with his second kit. Luke Oswald has been playing drums for over 20 years and has played in numerous bands providing a variety of experiences that lend to his ability to play multiple musical styles. He is currently the drummer for The Innocence, a Midwest favorite that specializes in Classic Rock, Country, and popular music both new and old. He also plays with Formerly Three, a unique two piece band that plays everything from jazz to Motown, classics from the 50’s and 60’s as well as today’s modern hits. You can check out some of his latest performances on his YouTube Channel. in addition, Luke has been very involved in pushing his own performance and production abilities to the next level through extensive study and has a deep interest in sharing this knowledge with others. 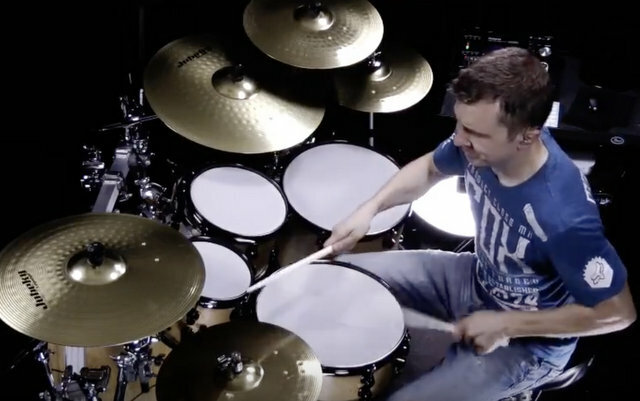 Fueled by his passion to inspire others to push themselves to new musical heights, he has created DrumAngle.com, an exclusive e-drum education website where he provides educational, technical and inspirational content not only for drummers, but for all musicians alike. DrumAngle.com also features numerous performance videos based around various musical styles and the use of sample based technologies and Jobeky Drums/Cymbals. To further educate on the benefits of drum sample technology, Luke is also an author/content creator at Groove3.com, the producer of high quality training videos for the pro-audio community. Groove3.com provides educational content for virtually every product and topic related to music and music production. Luke’s growing library of tutorials/lessons caters specifically to the e-drummer. Drum Studies & Studio Work: During my time in Nashville, I studied drums with Derico Watson (Victor Wooten), Jeff Bowders (Paul Gilbert), Will Denton (Steven Curtis Chapman, LeAnn Rimes), Marcus Finnie (Kirk Whalum, India Arie) and Raymond Massey (Pearl Drums). I’ve recorded drums on multiple albums produced and have played on albums with artists such as George Clinton and Samantha Ware. You can visit Luke’s youtube here: www.youtube.com/user/DrumAngleOfficial. You can visit DrumAngle website here: www.drumangle.com. Elliott has been an in demand drummer for many years now working with artists and bands that include Shirley Bassey, John Lord, and Roger Glover ( deep Purple), Paul Anka Michael Ball, Leo Sayer, Joe Longthorne, Russell Watson, Jane McDonald, Tony Christie, Kirk Whalum, Andy Abraham, Keely Smith, Tony Hadley, Limahl, The BBC Big Band, Syd Laurence Orchestra, The Drifters, Gwen Dickie,Gabriella Cilmi, Georgie Fame, Mathew Herbert, Bob Mintzer, Mike Stern, Laurie Holloway, and Michael Feinstein. His West End Credits include the Lion King, The Rat Pack, The Bodyguard, Jersey Boys,Thriller and Priscilla Queen of the Desert. He runs his own band that has headlined at Ronnie Scotts club in London on more than one occasion and released an album -is that not what you wanted. In 2012 Elliott had the idea to produce a 25th Anniversary Buddy Rich memorial concert at the Palladium in London. He was the creative director of the event hosted by Buddy’s Daughter Cathy Rich and he performed alongside many leading names in the international drumming community. Elliott uses Jobeky, Echo Custom drums, Zildjian Cymbals, Aquarian heads, Protection Racket Cases, The BC2 by Porter and Davies, Vater Sticks, Lion Cajons and Baskey Products. 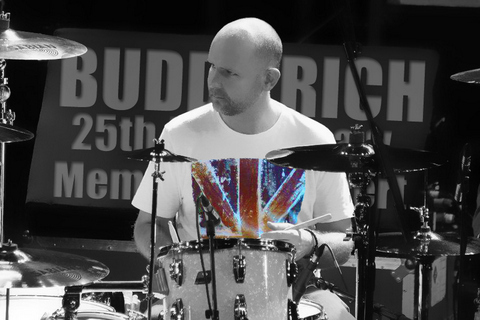 Richard is currently one of the most sought after drummers and teachers in the north of England. Richard owns and runs the nationally renowned private music school ‘RAW Studios’. Richard and his staff have an ever-growing list of private students from all over the UK for studio lessons and globally online. Beyond ‘Raw Studios’, Richard can often be found volunteering and running drum clinics, workshops and master classes across the country. Among other artists, Richard has worked with Dom Famularo, Craig Blundell, Russell Gilbrook. Steve White, Mike Dolbear and James Hester. 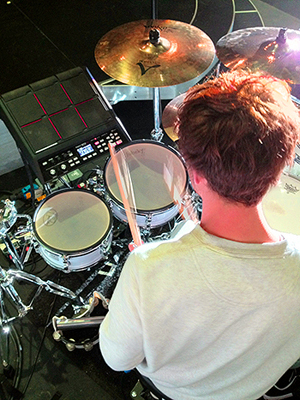 Jay has been playing drums since his early teenage years. Born with a beat in his soul, he carved his first set of drum sticks out of balsa wood dowels at around age 10. He played however he could on any kit he could find throughout his teenage years, and in his early twenties he would play in an Alt Rock band that rose to critical acclaim in the Colorado music scene. In 2010, after a long hiatus, Jay started his YouTube channel featuring drum covers from virtually all genres of music. Six years and 6,000 subscribers later, he is still playing the beats he feels in his soul. His primary goal now in his drumming career is to inspire young drummers, to teach, and to share an undying love of music. 2000 – I formed an original Pop band called “Feedback”. After getting radio play on local South African radio station “Highveld Stereo”, we formed our own label and independently released our first album, “More than this”. Unfortunately, the band broke up about a year later. 2001 – My brother and I started a Rock band called “Pyramid Tongue”. During the bands 4 year existence, we achieved just some of the following: We won the RP Studios Emerging Sounds “battle of the bands” competition. We signed with Indie label, Legend Music and released our album, “Confusion reigns” and distributed through “Universal” South Africa. We reached the #1 Spot on the 5fm Modern Rock Chart with our single “Sterilizing Agony”. We reached # 11 single on the 5fm Top 40 chart with our Single “Tender Loving Abuse”. We briefly toured London, where we played numerous venues, including “The Water Rats”, “The Rock Garden”, “The West One Four” and “The Oh Bar”. 2003 – I decided to join the corporate drumming/percussion group “1st Project” on a session basis, whilst still part of Pyramid Tongue. Some of “1st Project’s” achievements, while I was involved include: Performing on the talk show edition of the Jerry Springer Show. Touring the Seychelles, and performing at the Royal Prince’s party at the famous Plantation hotel. Opening up the 2007 ICC World Cup Cricket Ceremony in Jamaica. Performing for both ex-South African Presidents, Mr. Nelson Mandela and Mr. Thabo Mbeki. Nominated for a SAMA, (South African Music Award) in the “best live DVD” category in 2007. 2007 – My brother and I decided to once again form a band together. Our new band is called “Munkinpure”. Some of our achievements thus far include. Reaching the #1 spot on UJ FM and Red Cap Radio, with our single “Beautiful Day”. Reaching the #3 spot on UJ M with our single “Breathe”. Reaching the #1 spot on UJ FM and HIGHVELD STEREO with our single “Clap your Hands”. In addition, we released our first album, “For lack of a better word” through an independent record company, Inner Flame Music. (Please see attached reference). We have also appeared in numerous media publications including, “Purity”, “Blunt”, “Alberton record”, ”Tom X”, “Get it” and the “Splashy Fen magazine”. We independently released our second album, “This is where the money went”, which we just submitted for a 2010 SAMA award, and are also working on our fist live DVD. 2008 – In addition to focusing on “Munkinpure”, I formed my own percussion group called “iGrooves”. iGrooves perform mainly at corporate events, for which I have included a separate biography. There are now branches of “iGrooves” in both South Africa, and London. 2009 – Whilst still focusing on “Munkinpure” and “iGrooves”, I began to session for Contempary/Pop band “Walt”. “Walt” reached the #1 spot on Highveld Stereo with the single “Somewhere”. I have played, and performed at various South African and International music festivals and appeared on many television programs. Some of these programmes include: FTV’s Music and Fashion series, Yo TV’s Buzz Show, Saturday Night Live with Jerry Springer, Dstv’s MK Channel, Mnet’s open time, The Phat Joe Show, ETV’s 20 something. Festivals include: The Woodstock Festivals (2, 3, 4, 5, 6, 8 and 10), Splashy Fen 2002, 2003, 2007, 2008 and 2009, The Jack Daniels Festival, the Way Out There Festival, the Wax Art and Music Festival, the Sasol Festival, and Rand Easter Show Festivals. I won the Best Drummer Award at The National School of the Arts in 2002. I won SABC 3 reality show “30 Seconds To Fame” Competition Program in 2003. I have done many drum sessions (recorded and live). Some of the artists I have worked with, and continue to work with include: “Sian Wilkins”, “Ziller”, “Sheen”, “The Waiting Room”, “Voodoo Child”, “B-Daz”, “Denvor”, Maya and “Lonehill Estate”. I am currently featured on the South African drum website www.sadrummer.com. In 2004 and 2005 I was signed to Manifesto records, a sub division of Universal UK, with the Pop group, “Plastic Dreams”. We reached # 8 on the UK billboard charts with our single “Fuse”. I returned to South Africa shortly after the band broke up. I received the Best Drummer award at the Astoria in London, in 2006 during the Global Battle of the Bands Competition, in which 30 bands from 30 different countries took part. 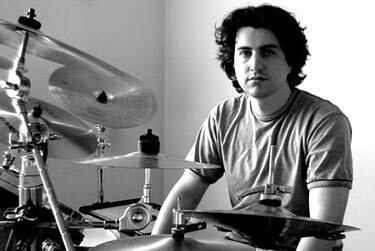 I played alongside JoJo Mayer at the 2007 Johannesburg Drum Festival as part of the percussion group, the “Drum Talkers”. I played alongside Marco Minnemann at the 2008 Johannesburg Drum Festival with my drumming group, “iGrooves”. I played alongside Russ Miller at the 2009 SA Drums and Percussion Magazines drum day with my drumming group “iGrooves”. I have performed on the same stage, at various events with artists, such as Stained, Evanesance, 3 Doors Down, the Body Rockers, Seether, the Audio Bullies, Rodriguez, Arno Carstens and The Parlotones. I am currently working with American drummer, Johnny Rabb on a recording project yet to be named. We are hoping to have some of this material recorded by the middle of 2010.